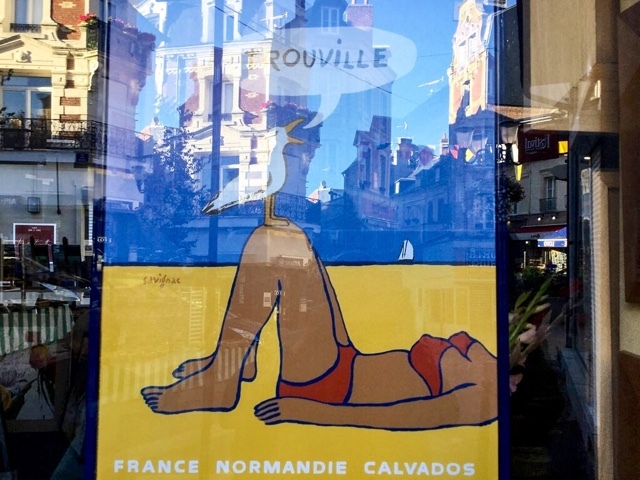 Jill Butler asked me if I had seen any of local graphic artist Savignac posters whilst in Trouville. I saw many and thought I'd share them with you. 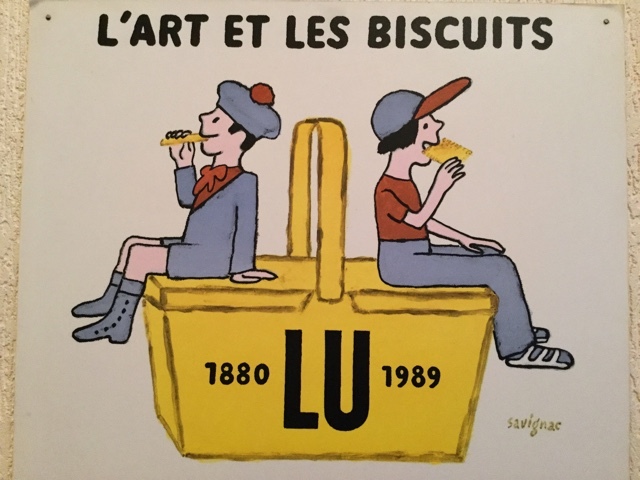 I often heard about Savignac from a French guy I went out with whose own artwork was influenced by him. Savignac is iconic for France by the way even now years later. 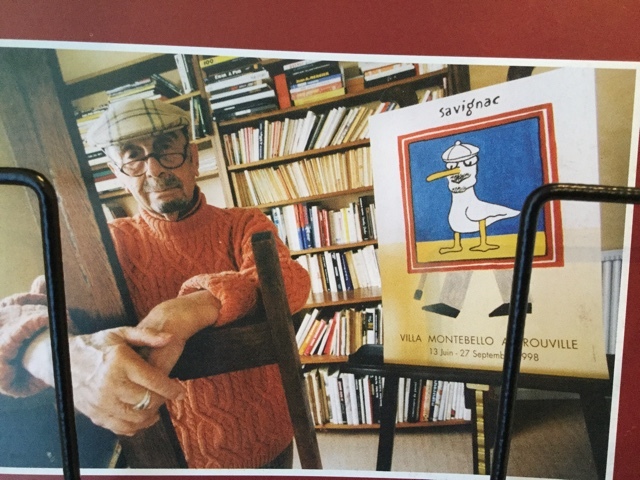 The library has its own specially signed Savignac. 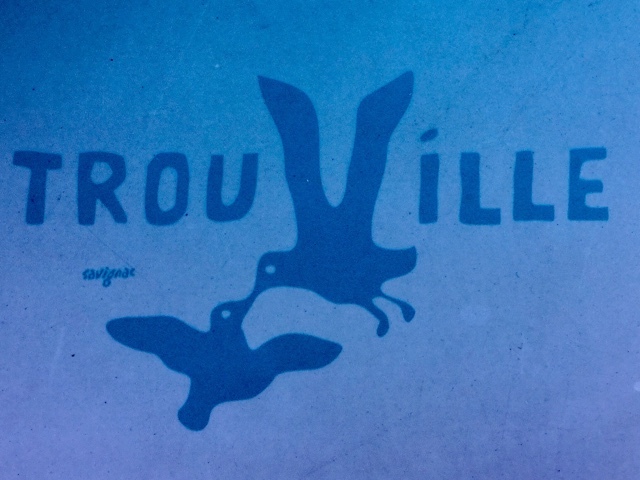 By the way you can not get away from the gulls in Trouville so don't even think about it. 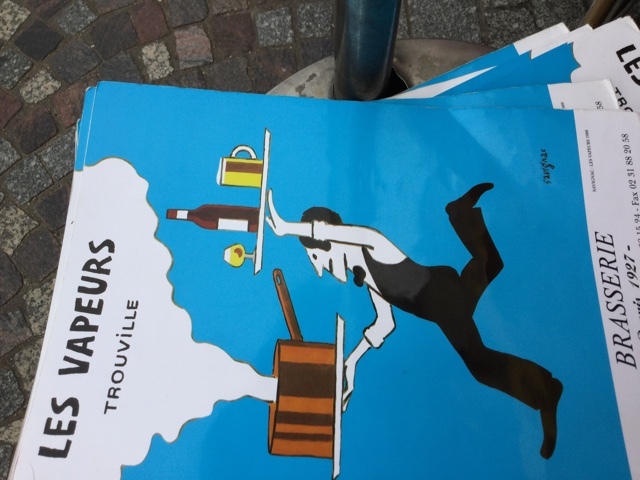 Savignac did many, many menu designs for Les Vapeurs, an outdoor cafe along the main street. 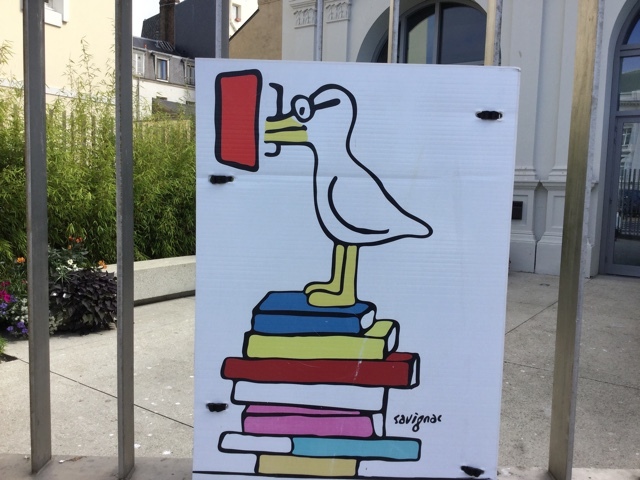 Here a hotel poster painted on the wall (more gulls note svp). 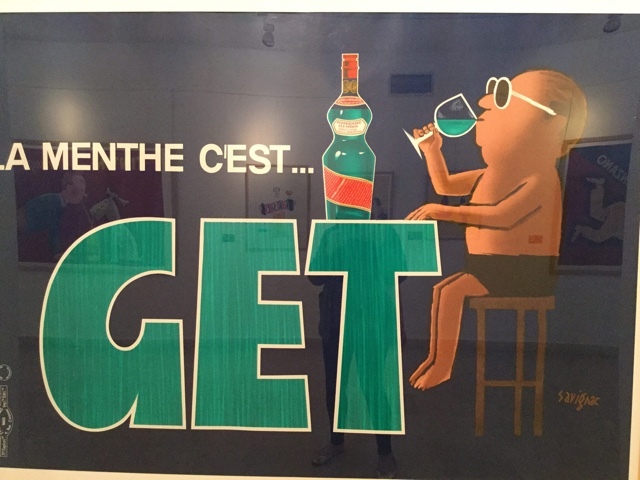 I imagine they have an annual exhibit of Savignac's posters. The hall to the right of the tourist office (filled with consistently UNhelpful staff. 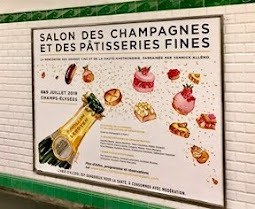 This seems to be often the case in France). 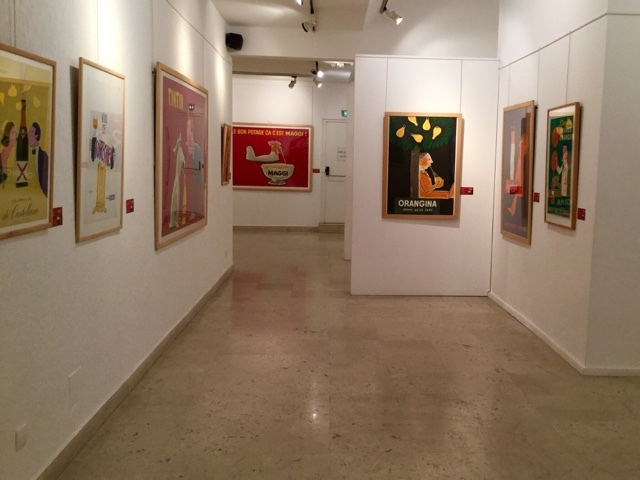 This year's exhibit is food-based. 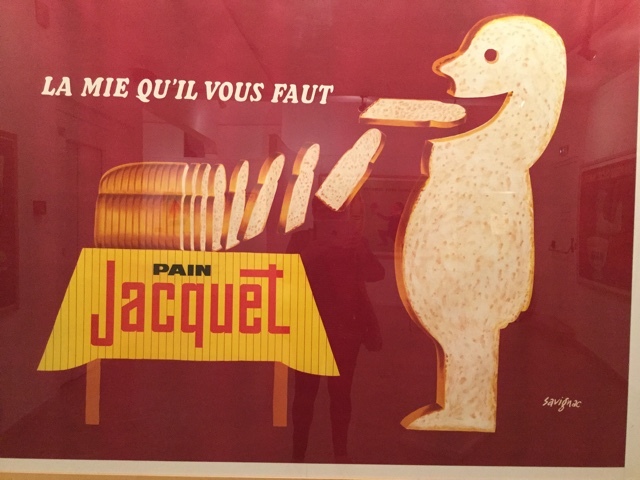 Savignac is known for his visual wit. 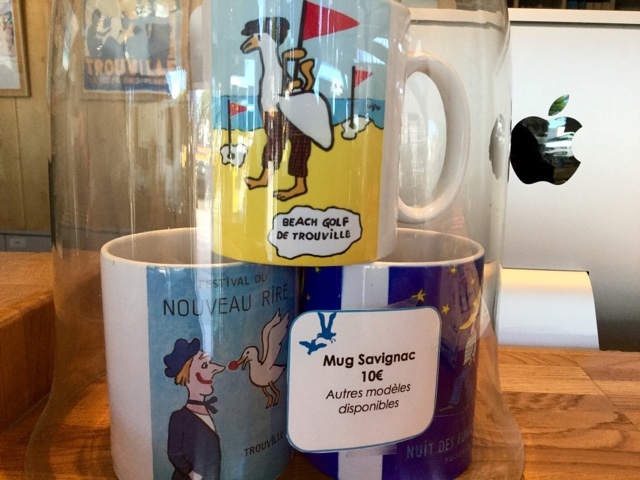 Don't ask me why I didn't buy a Savignac mug Please. I'm kicking myself. 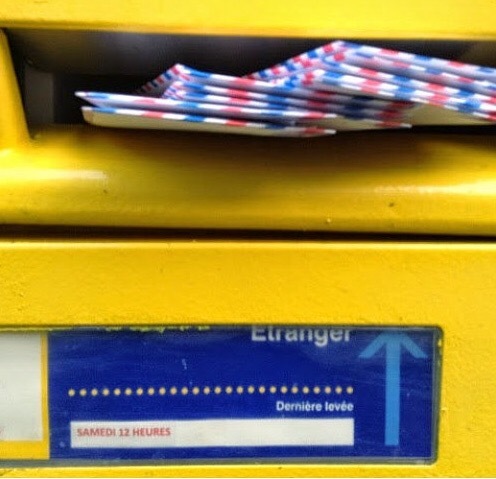 The only picture I could find of Savignac was on the postcard stand! He does look droll. I am still painting beachy scenes FYI. France has 3000 miles of sea coast. I intend to visit and paint them all. 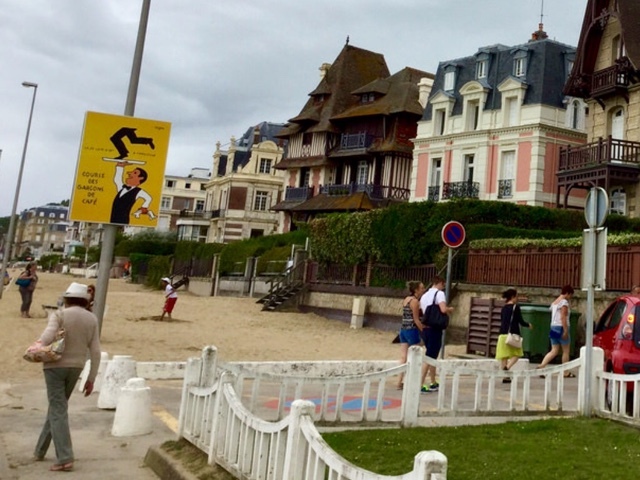 Your suggestions are most welcome if you've been to Biarritz or Dieppe. 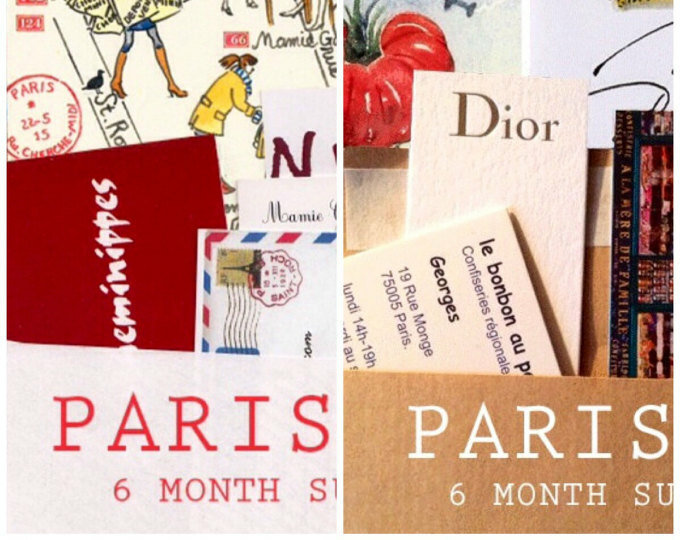 If you like this post please support it by buying my Paris letters and watercolors. Or pass this on to some one you think might enjoy it. I love his work..had no clue who he was before you though..
Love your beach scenes Carol. 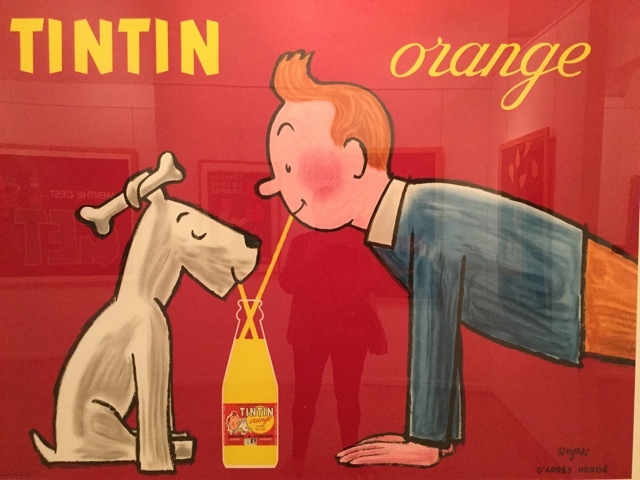 And just seeing Lu or Tintin is endearing to me. I am totally enjoying your beachy scenes and visits to the beach. Love the Savignac blog!! !Your beach scene is right up there, too.Congrats. 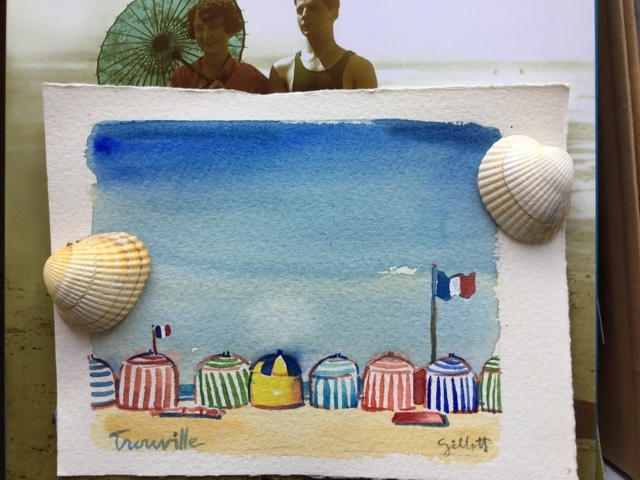 I love your watercolors of the beach! Perfect. 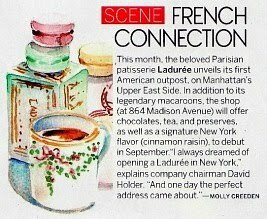 Ahhhhh....an excuse to go back...to buy a mug or two!! Carol, thank you for these fresh sea breezes and the homage to brilliant Savignac! 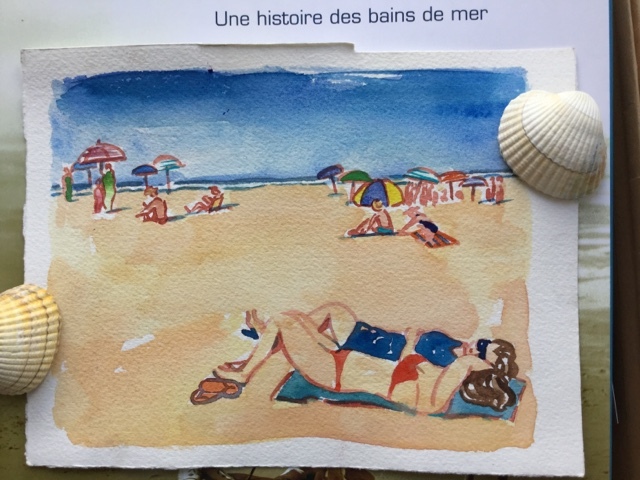 Your beach painting is a gem. 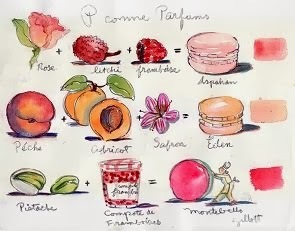 Love the Savignac art but love your watercolors more. 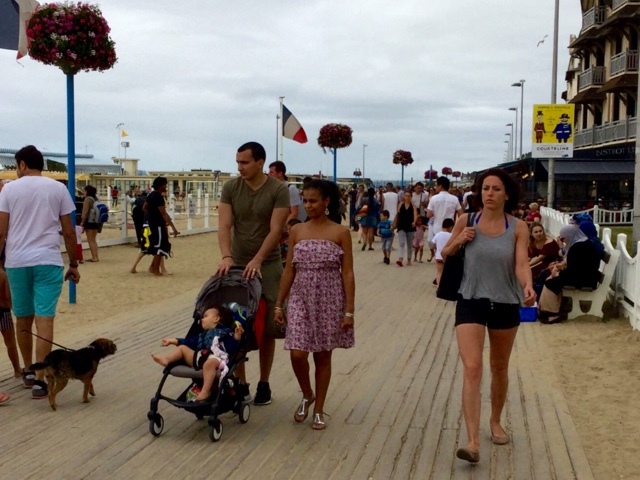 All the pictures make me want to take a boardwalk stroll. I have to say that I really look forward to your postings and all the artwork. Re UN helpful French tourist staff..ditto for my experience..also some Italian/Rome staff are right up there! 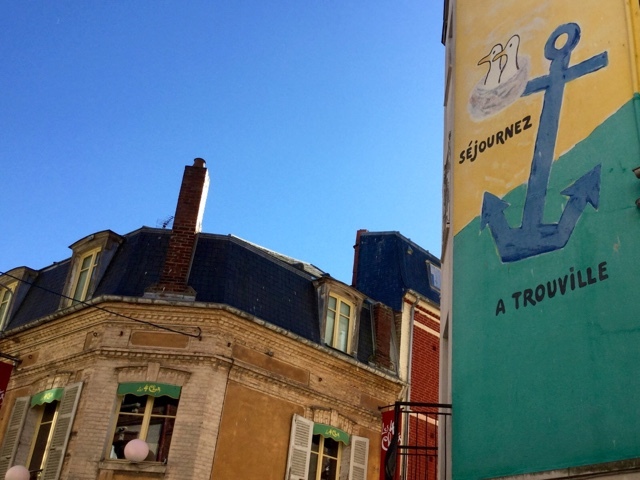 You will be happy to know that because of YOUR blog, I am returning to Paris and taking a jaunt to Trouville and the surrounding beach areas like Honfleur. And all because of your photo of the seafood lunch! The library sign is the best.. :)..
while stuck here under the smoking skies of California. 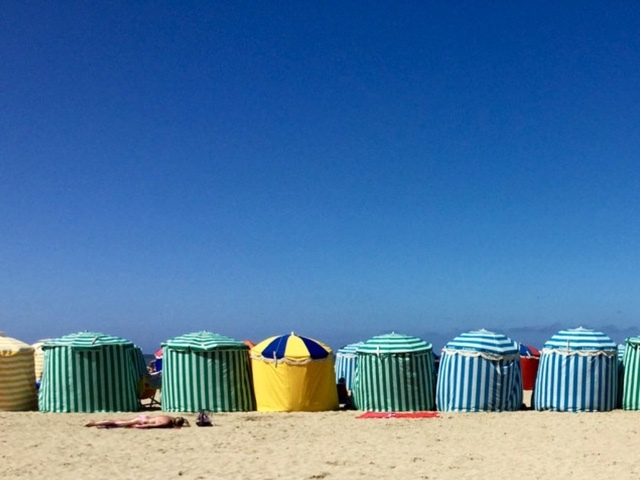 Ile de Ré is in the Charante too..
Lovely beachy vacation, thank you Carol, lovely as always. I had a chuckle looking at those little tents on the beach. They reminded me of cupcakes for some reason. Thank you for sharing your great talent with all of us. Always colorful, enjoyable and really brighten my day! He does look droll ??? 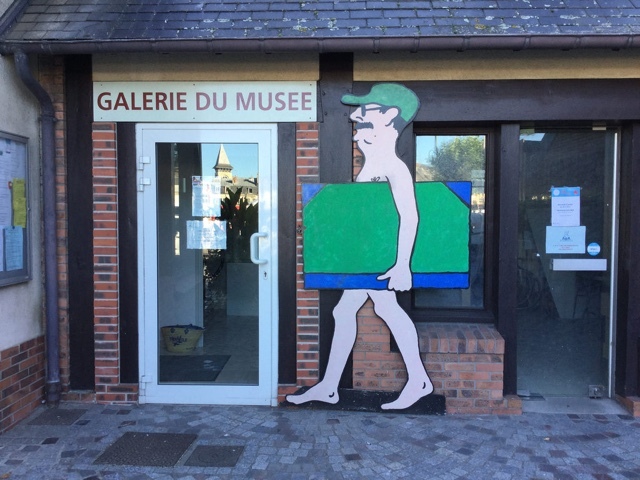 "his unique brand of droll self-mockery"
Thanks for sharing these delightful French beaches and lovely art, both your and Savignac's! Ice ever been to France in summer but will need to one day, it looks very relaxing and fun. I used to be the same way but France has divine summer resorts..not to be missed. Loved this post! 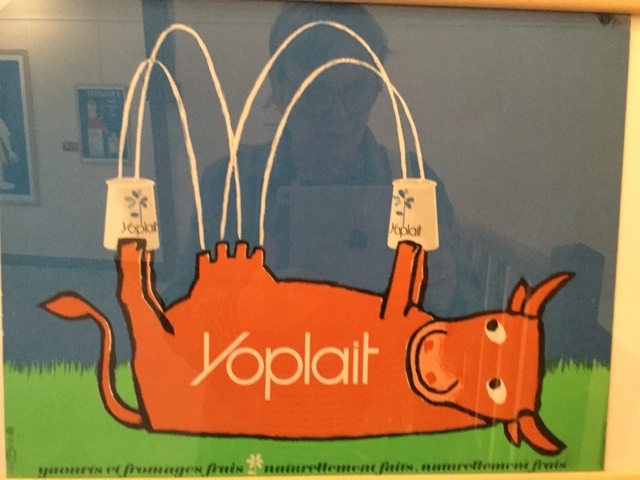 My favorite is the cow with yogurt coming out of her udder. You did a good job on the red bikini watercolor. Now I'm going to google that village on google maps. France has 3000 miles of seacoast? Wow, I did not know that. It's so much fin to travel vicariously through your blog. Mil gracias! Really great post, Carol, colorful, and lots of fun. I do not know HOW you do this, Carol!!! Your posts just out-do themselves from the last one!